Birdorable fans, boogie on over to Birdchick's blog and enter her guest blogging contest. 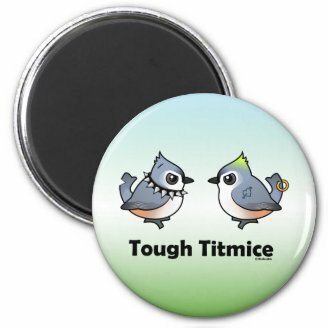 You could win Birdorable swag! Birdchick is going birding in Kazakhstan and since we can't come along, we're providing the prizes for her guest blogging contest. Entrants can submit on-theme blog articles through May 7th. Winning entries will be published on the blog from May 8th through the 17th with the grand prize winner to be voted upon by readers. Check here for all the details & rules. 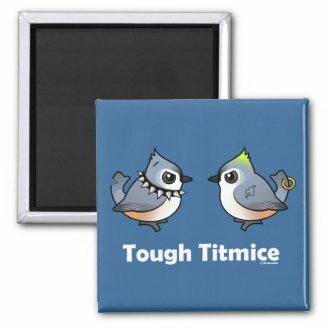 The 10 published entries will win a Birdorable Tough Titmice magnet. The top voted finalist will win a Birdorable Spotting Scope organic t-shirt, with the Birdorable bird species of their choice sitting on the scope! HUGE Birdorable Bonanza 2013 starts TOMORROW!